The time has come: Berlin-based developer Sandbox Interactive today launched the next closed alpha of their cross-platform Sandbox MMORPG Albion Online. As of now, adventurers can explore the medieval fantasy world, gather and trade resources, forge weapons and demonstrate their strategic abilities in dynamic PvP battles. Those interested in the game who have not made it into the closed alpha can follow the start of the test on YouTube and Twitch instead. 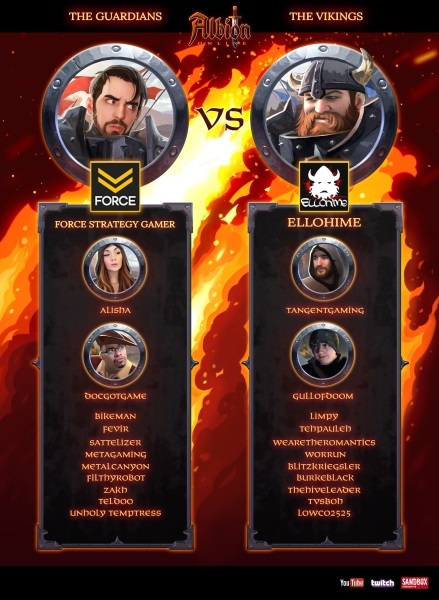 Throughout the alpha phase there will be a special event during which many live streamers and YouTubers will report live from the game and share videos of their gaming sessions. Among other channels, Sandbox Interactive recommends taking a look at Force Strategy Gaming and Ellohime. During these streams, the developers will answers players’ questions and also give away some alpha keys. Anyone who is interested in participating in the closed alpha and in following test phases can secure their access with one of Albion Online’s founder packs. All information can be seen at http://albiononline.com/founders/#content. Today, InnoGames released additional information on alternative playstyles in its upcoming strategy game Elvenar.